Is pet insurance a good idea or not? Well, maybe. But I can make a case for simply having a pet health savings account instead. Here’s what you need to know about pet health insurance, pet insurance companies, and tips before you buy dog health insurance. Many pet owners are buying bottled dog water or they’re filtering their dog’s water instead of using water straight from the tap. Following are the best options when it comes to providing pure and clean water for your dog: filtered water vs bottled water for dogs. With Halloween right around the corner, it’s time to think about the type of Halloween costume your dog will wear this year. Here are lots of fun and easy dog Halloween costumes that you can make yourself. Yes, dog sunscreen is a must — because dogs get sunburns too! Also important: dog sunsuits, limiting your dog’s time out in the sun, how short you cut your dog’s fur, and doggie eyewear like goggles: Doggles. Here’s what you need to know about dog sunburn, doggie skin cancer, and which dogs tend to suffer the most from sunburns. 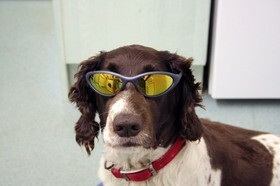 Does your dog have a sunburn? Here are some simple DIY home remedies for dog sunburn. These are my top picks for the best dog-related iPhone apps. Plus, I also include the top picks from several other dog owners, as well! 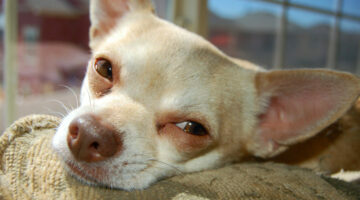 Chihuahuas can make wonderful pets, but it is important that you first understand the advantages and disadvantages of owning a Chihuahua before you bring one into your home. Here’s what you need to know. 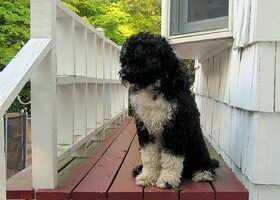 Wondering how to rent a dog or if renting a dog is even legal where you live? Here are the pros and cons of dog rental companies like Flex Pets. Here are some of the top celebrities which specifically have products for dogs, including Ellen DeGeneres dog food, Cesar Millan dog food, and Rachel Ray dog food, among others. Most celebrity pet foods are all-natural, organic and healthy for your pets. Dog treats can be expensive. Plus, the ingredients in them aren’t always best for your dog. 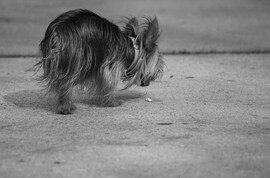 Commercial dog treats can have preservatives, food coloring and other things that you may not want your dog to eat. Here’s a collection of homemade dog treat recipes that are healthy AND tasty – dogs love ’em! Here are the symptoms and treatments for kennel cough — what to look for, how to prevent it, and how to treat it. Hosting a dog birthday party is not only a great way to have some fun, but it’s also a great way to help socialize your dog. It’s also a great reason to get together with friends and family that are also dog lovers. 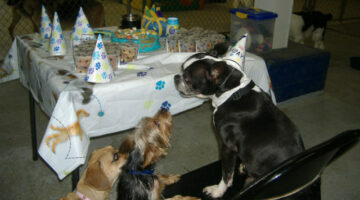 Here are tips for planning a dog birthday party. 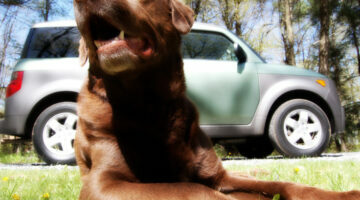 Do You Know What To Do If You Hit A Dog With Your Car? Dog owners who are vegetarians themselves (and even some veterinarians) are eager to recommend a vegan diet for dogs. The biggest question I have is, is it really healthy for your dog? Here are the pros and cons of vegetarian diets for dogs, as I see it. Personally, I can come up with a couple of reasons as to why I wouldn’t feed a dog raw food. Basically, they are the same reasons I wouldn’t feed raw food to a person. Here’s why a lot of dog owners are feeding their dogs the BARF diet — raw food and bones.